A computer model simulating the progression of Alzheimer’s disease in clinical trials received favorable comments from U.S. and European health regulatory agencies. The Disease Model of Mild and Moderate Alzheimer’s Disease was developed by the Coalition Against Major Diseases, an initiative of the Critical Path Institute in Tucson, Arizona. The model, says the institute, simulates the natural cognitive changes in Alzheimer’s disease. It captures historical data from research literature and participating coalition members, which include pharmaceutical and biotechnology companies, academic researchers and medical institutes, federal agencies, and not-for-profit organizations. The model simulates potential outcomes of clinical trials testing effects of therapies under various conditions, such as dose selection, population inclusion, sample size estimates, and study duration. FDA is a member organization of the Coalition Against Major Diseases. The Critical Path Institute was founded in 2005, in part as a response to FDA’s Critical Path Initiative to better bridge the gap between basic scientific research and medical product development. 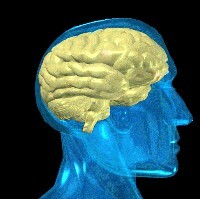 On 27 June, the Committee on Human Medicinal Products of the European Medicines Agency that regulates medical products and devices in European Union countries, issued an opinion indicating “the proposed Disease Progression and Trial Evaluation Model is suitable for use in drug development as a longitudinal model for describing changes in cognition in patients with mild and moderate AD, and for use in trial designs in mild and moderate AD.” Like FDA, the European Medicines Agency is a member of the coalition.